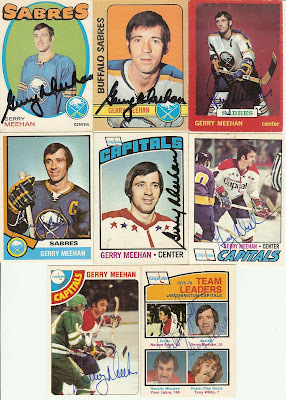 This is super-rare uncut strip of three cards from the 1972-73 Topps hockey card set. 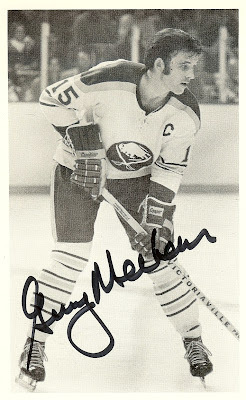 It was purchased directly from the Topps Vault. 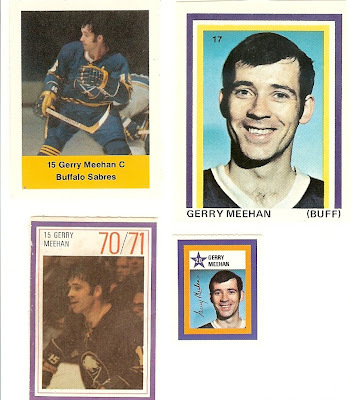 Clockwise from upper left: 1974-75 Loblaws Action Stamp, 1971-72 Sargent Promotions Stamp, 1970-71 Sargent Promotions Stamp, and 1970-71 Esso Power Plays. Even rarer is this 1974-75 Loblaw's sticker below showing Meehan as a Vancouver Canuck. 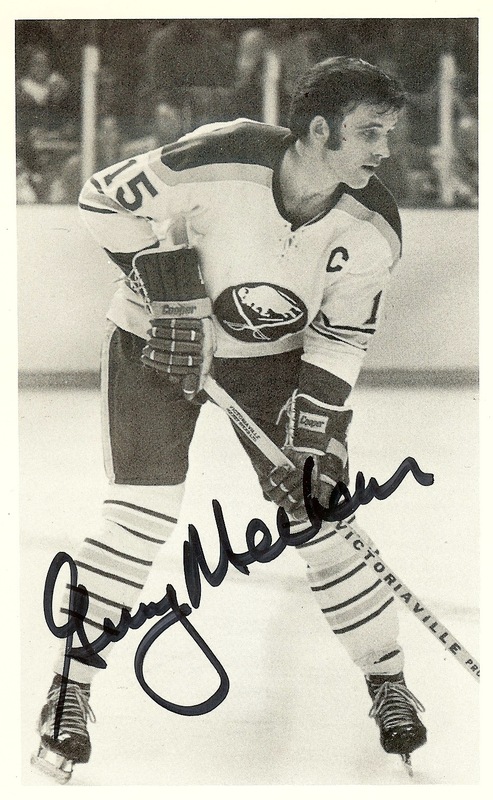 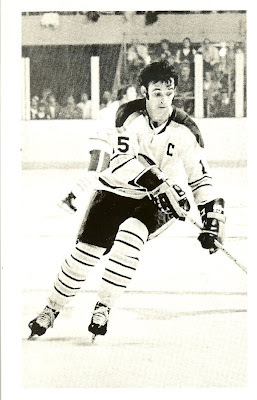 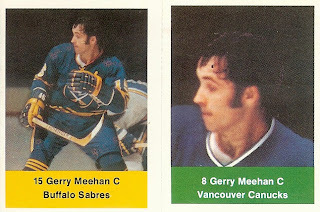 The original 324-card set included Meehan as a Buffalo Sabre, but he was traded to Vancouver after playing just three games. 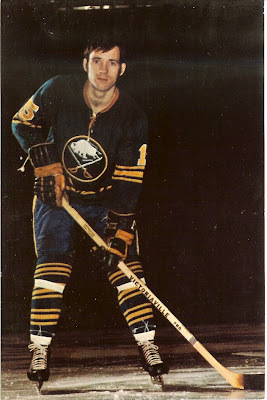 Look at the two stickers below -- like most of the stickers in the update set, this photo was airbrushed to make it look like he was wearing a Canucks jersey. 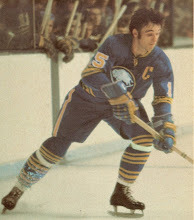 But you can see it's a close-up of the original photo.